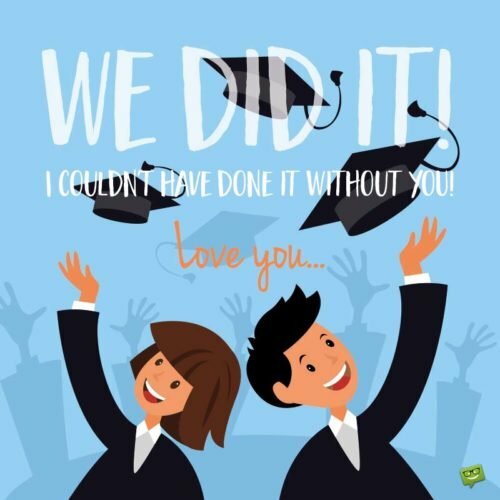 Graduation Wishes for my Boyfriend | You Did It! Hurray! Your boyfriend has finally graduated from school after studying hard for so long! 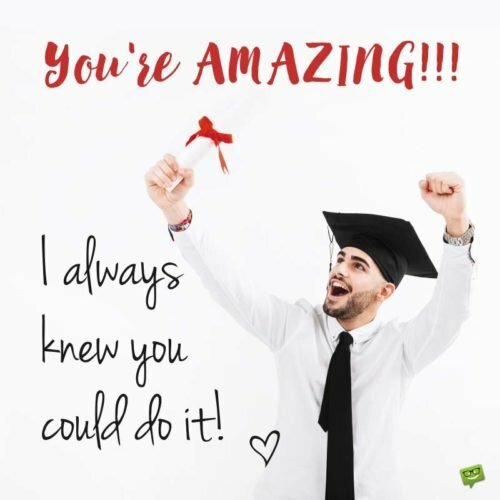 If you want to make this great day of his life a more colorful one, we’ve got a ton of graduation wishes you can use to achieve that. Go through the following sweet messages and make your choice. Babe, I am so impressed by your remarkable success! Congratulations! Congratulations on this great achievement! Words don’t have the capacity to tell you how proud I am to be your girlfriend. Your hard work has paid the price for today and I know there are better things ahead of you to achieve. Congratulations. Graduations are one of the most exciting moments of our lives. I’m so glad you get to experience this special moment in life. Congrats, my dear! Sweetheart, as you have ended a major part of your educational journey excellently, it is my prayer that you will start and end the next one in a similar fashion. Congratulations! Congratulations! I am so happy you never gave up on your education during the hard times. You are now a winner! May this day give you the inspiration needed to prepare yourself for a new set of challenges in life. We did it! I couldn’t have done it without you! I am filled with great pride to know you have completed school finally because the problems you encountered were not easy but you never gave up. You stayed the course and made this amazing day a reality. You have really done well, my dear. Congratulations on graduating in such a flawless manner! May God bless you for making me the happiest and proudest girlfriend in the world. Now that you have your certificate, I know you can be anything you want to be in this world. I can’t wait for you to start sharing your successful experiences with me. Congratulations, sweetheart. Sending the heartiest congratulations to the greatest boyfriend in the world on his graduation! Honey, I hope this great achievement of yours will inspire the can-do spirit in you and lift you up to greater heights. The sweet fruits of your hard labor are ready now! Take your time and savor every moment of them. I am so proud of your achievement. Congratulations, my dear. Everything about you, including your personality shows you have been destined for greatness. Keep on believing in yourself and you will definitely get there. You never stop filling my heart with pride. Congratulations. Hearty congratulations to you, my darling, on your graduation day! This is just the beginning of wondrous achievements in your life, and I hope you will never stop mesmerizing the world with your amazing talents. As you graduate from school today, may God bless you with more wisdom to enable you have a clear vision of your goals and aspirations. Congratulations. 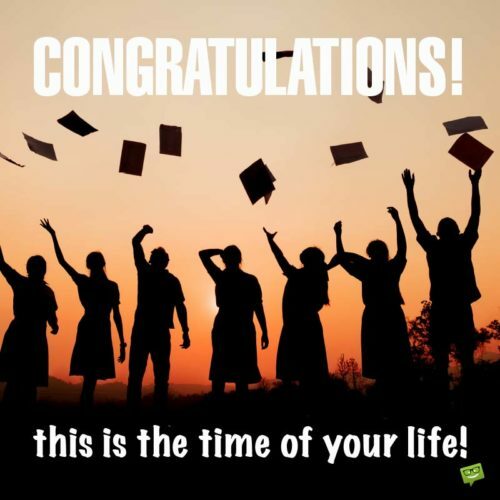 As you graduate from school today, may you be inspired to never give up on your dreams. I believe you were born to excel. Congratulations. Congratulations to the newest graduate on the block! May you never stop making the right choices in life as you start this exciting new journey of your life. Sweetie, as you celebrate this special day of your graduation, it is my prayer that you will never stop shining in life. Congrats. Congrats to you, dear darling. I hope you will continue to move from success to success. And don’t forget that my love for you is everlasting. Hip, Hip, Hooray! I’m so happy for you! Your determination, perseverance and motivation are what have brought you this far in life. I’m so proud to call you mine. Congratulations! Congratulations on graduating so brilliantly from school. May your life continue to be laden with lots of success stories. I love you. Congrats on your big day! I just can’t put into words how happy your graduation makes me feel. Congratulations once again. The challenges you encountered during your days in school were very mighty and I am so happy you were able to overcome all these hurdles to become the amazing graduate that you are today. Many congratulations to you, my dear! May you be guided by the same principles you followed during your school days as you step out into the world. Enjoy your day with love . Congratulations. 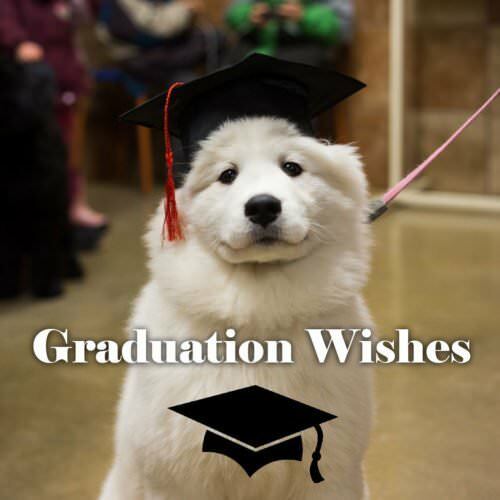 Sending a sea of congratulations to you on your day of graduation! Sweetheart, you have really done a great job and I am really proud of you. May success always walk with you. You’re amazing! I always knew you could do it. Congratulations on your graduation, my dearest boyfriend! An absolutely bright future awaits you! And I’m so glad to be that special one in your life who gets to share that awesome future with you. Graduating isn’t the easiest achievement on earth, and that is why I can’t stop being proud of you for doing it. Congratulations, dearest! Yay! My sweet boyfriend is now a full-fledged graduate. I’m so proud of this great achievement of yours. Congrats! 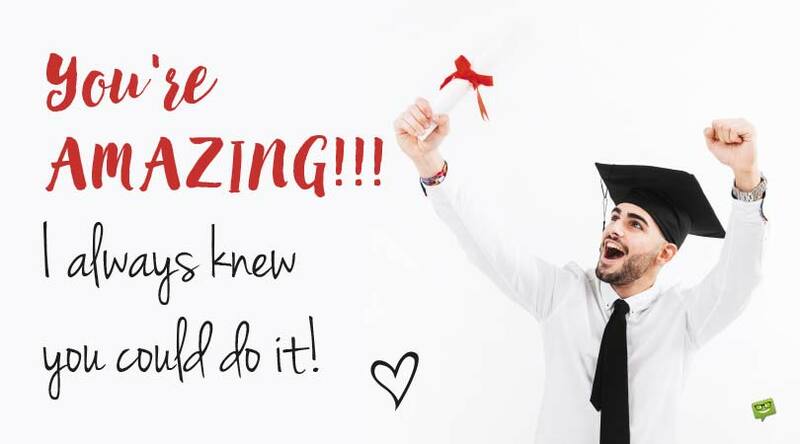 Today, the world of graduates has just gotten one of its brightest members! Congratulations, [Name of Boyfriend]! This great day in your life needs nothing but a long and colorful celebration. I am excited and proud of you for coming this far and I know you have all it takes to be a great and successful man in future. Congratulations. There is time for everything! A time to work hard and a time to celebrate. You have worked so hard to see this great day. I’m more than excited to celebrate your graduation with you, my love. Congrats! Sending very warm and hearty congratulations to you! This is just the beginning of numerous successful moments in your life. Nothing on earth can ever stop me from telling you how proud I am of your success. Babe, I hope you celebrate your graduation, knowing that I am mightily proud of you. May you never stop shining as brightly as a billion stars. Well done, my dear! You had the courage to follow your passion and now you are successful. May this achievement encourage you to pursue other remarkable things in life. Congrats! You did it in such a grand style! Well done! Your hard work and perseverance in life will take you to some of the most wonderful places in life. I promise you. Thanks for making me proud. 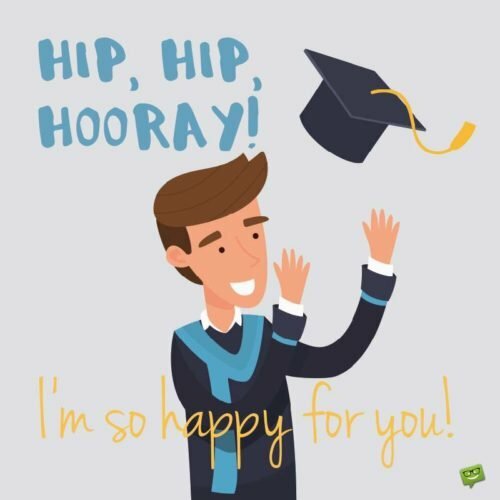 Wishing you a super duper happy GRADUATION DAY! As you enter into the world of graduates, it is my prayer that you never stop garnering remarkable accomplishments like this. Congratulations.